When it comes to planning a yearbook, our favorite piece of advice for new yearbook advisors is this: Begin at the end. It might sound counterintuitive, but knowing where you want to go before you start will help you get to that end goal a little faster—and a little happier. You can achieve most of that by picking your deadline, theme, and coverage goals, but there is one tool that will get you the rest of the way. Other yearbook planning tools, like project management spreadsheets, editorial calendars and deadline charts, might seem to do everything except make your morning coffee for you, but those tools miss a key element that yearbook ladders offer: a “big picture” view. Have you ever struggled to remember where, exactly, your Halloween parade collage is set to go? Or how many pages you had reserved for prom night? Your yearbook ladder will tell you right away. Because a ladder can show you your book from the proverbial 50,000-foot view, you’ll never be more than a quick glance away from knowing where in your book you planned for each feature to go (and how much room you gave them). The ladder is an especially useful device that can help you determine the layout and flow of the book, to make sure that you’re not forgetting anything, and to check and see that any multi-page features look as good as possible in the way they span the pages. Begin your ladder with your first page. 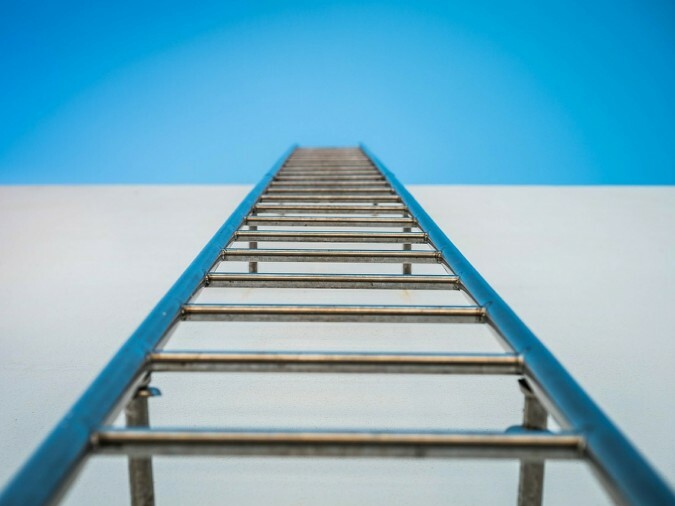 Your first page on your ladder should be one that contains content. That means page one should be on the right side of the ladder, with no facing page. 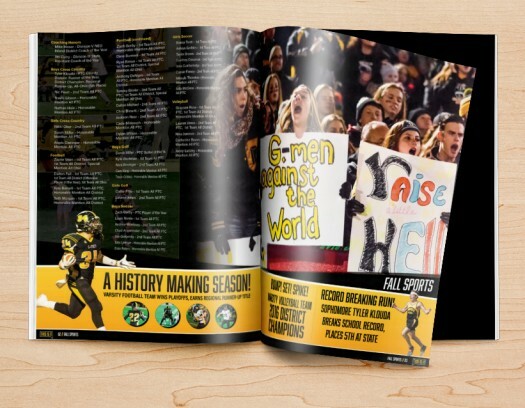 If you also list pages that don’t (or can’t) contain photos and text, you may confuse how many pages you actually need for your yearbook. Adjust as you go. You don’t want to mess with your plan too much, but the beauty of the ladder is that it can be easily rearranged to determine what looks and fits best. It’s a fluid document, so, if things change, you can easily adjust while still sticking to your original plan. Highlight pages on the ladder once they’re completed, and check them off once you’ve signed off those pages. Doing so will let you know exactly how close you are to finishing at all times. Teach others about the ladder. Even if you’re planning to control the document, you’ll want everyone to be familiar with how to read it. Ideas can flow better when people see everything laid out right in front of them. 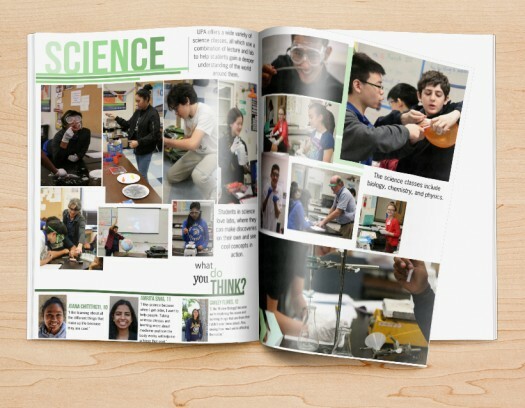 Yearbooks are usually designed in facing pages, also known as spreads, where you will have one “story” on each spread. Keep this in the back of your mind when planning your layout, so you can make sure the content on your pages flows as smoothly as possible. 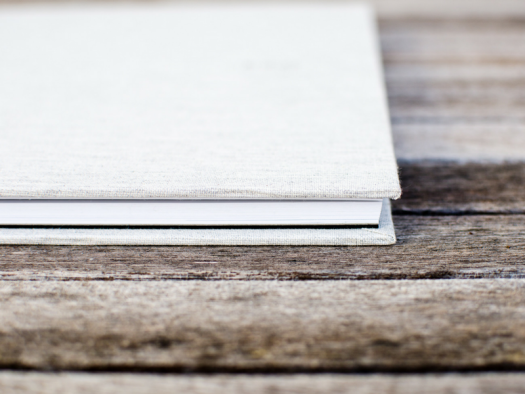 If you find yourself with features that are one or three pages long, consider placing candid photos, quotes, or filler items on the opposite page to complement the feature. It’ll help keep each spread cohesive. And you know a good tool to easily tell if you’re going to run into that issue, right? Of course you do. Grab a yearbook ladder and get to work. It’ll help you make an even better yearbook.